The last five years have been some interesting times of purging and perhaps being purged. All the parts that didn’t fit finally fell off. Good News, even if WE were the ones being purged. Many reading this will feel the pain of being “left behind and disenfranchised” from work, friends and even family. Our constant wondering if it could get any worse was the catalyst that brought us the impossible … worse. If however we were to truly examine this with an open mind, it is a backhanded way of letting us know that the direction of our thoughts and the tremendous power of what the Human mind can conceive, is truly powerful and is available for us to form the life we want. When we continually consider our lives as emotional death spirals, they actually became one. Not pleasant … but check the real Power. Our Oneness with the Universe and our natural ability to “create a world” to live in, just by what we think, speak and feel has brought us here. It may look like a train wreck but it’s not! We are still on the right side of the grass and in one piece … broken hearts can’t count here. They can’t count because we can see all that happened; we see from a place of observation … now. We can see it now because we are spent with emotion. There is no more fight and there can’t be any more tears, as we now look at our lives without the “emotion” of what happened … we see only the result and our part in it all, as surely we were involved. Here is the good news for all who have had a rough ride lately. Here you are. There is something new about you and how you see yourself. Those who have been searching for years to find “it” are now learning that “it” has always been there, with us. The Phoenix that rises when we turn to face life rises in us. Even if it is something from the outside that triggers our return to control and planning our way. That is what the outside is for. To create an emotion that will create a thought and a plan to expand our ability to live the adventures we are here to experience. What has been lacking is the “Self Love” in all this. Many are hurt because they feel betrayed by those who they trusted their lives too. Looking closely we might find that it was us “hanging on” to them for our own reasons and to be honest, should have let go a long time ago. Trusting in ourselves, inside the parameters of our own life, is what this Power is for. Ignoring this mechanism to try to follow someone else’s journey will not work. It was never intended to be that way. Oh well … so What? Better late than never. The maturity of Awareness dries the tears and strengthens the core of who we are. Awareness becomes acute when we indulge in Self Love/Respect. Like being tossed at Sea in a violent storm on a three mast ship and you were the only one on board; and being thrown onto a Deserted Island alone. There will be someone to come and rescue you by boat … but they will pick up a different person than the One that left the shores in the first place. Awareness leads the senses and intellect into a stand that feels strong and with nothing to lose. This is not a desperate or a last stand to the death, “nothing to lose”; it’s purposeful to create the future of change with the new reality of what truly is. This acceptance steels the will and accepts “what is” as a matter of fact and not a matter bad luck or shame. It is more a signal of a change in your new Modus Operandi … responsible for yourSELF, and only too yourSELF. The turmoil and the violent battle at Sea was the fight … this is the Calm. Can you feel it? Things change. This was not an assault against you … it was a purging to get everyone into their Authentic roles. That is what 2014 was all about. The year of the Chinese Wooden Horse started running at the end of the first quarter of 2014 and did not stop until mid-December. Its terrible rumble shook loose anything that was not firmly attached and in your corner. You are not alone… see yourself as free. When was the last time all you had to do was take care of yourself? Getting to know yourself will be much more rewarding than you think. You are waaayyy cool. Once you see/feel this about yourself … others will too. Your new presence will not go by unnoticed. The fact that you have emerged on this new landscape, looking refreshed from the lessened load and understanding now that what you Think, feel and say about your life makes it happen in REAL TIME. That is Alchemy. That’s the Law of Attraction… Built in … can’t shut it off … won’t stop working. It got you here, it got you through, and it will take you wherever your positive attitude will Allow. It is here where we must remember that the body can only hold one vibration at a time. There are only two vibrations to choose from; Positive or Negative. Seems simple … but it will take a conscious effort to not fall into old patterns. If nothing changes… nothing changes. You don’t want to get back on that boat do you? Accept the change that you are. 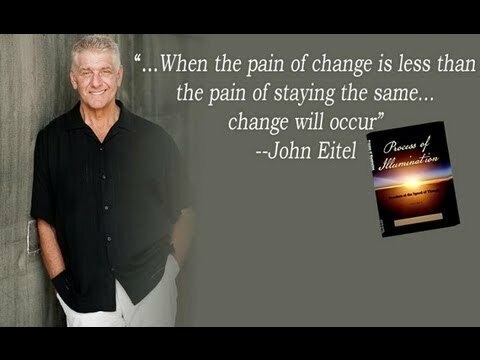 Live the Change that you are! Love and respect what it took to make these changes in you. Gratitude all around… even for the crap that pointed you here. For most of us the Deep Fear is gone. Check it … it’s not there. There used to be this deep sickening feeling about most things. Concern that somehow you would find a way to screw this all up, with a choir singing back up of “I told you So”. It was never as bad as you thought it was going to be. Those daze are gone. We understand detachment as we have seen that it is the only way to survive the emotional train wreck living in the past can be. And for “overachievers” who were actually capable of … Screwing it Up … we saw the opportunity and seized the moment. Yessir yessir … We mashed it up so bad that it could not have been done better/worse if we planned it. It wasn’t planned but here it is. At the very base of it all, whatever it was, it was just a mistake. Okay maybe a series of mistakes … a couple of wrong turns … they happen. So What…Big Deal…we paid the price…we are not crying… Big People Live Here!! Do you see? You can’t do it wrong. It was the path chosen by you to learn these lessons to the core. Actually there is no Right or Wrong…. Only Short and Long. You see when we make a decision or choose a path it is either the short way to the perceived goal or it is the long way. Sometimes (maybe often) we must take the LONG (wrong) way to actually learn the lessons that must be learned in this life’s journey and Sacred Contract that we have. The “long way” is fraught with unusual characters and sleepless nights and head holding concern, but, we always get there or somewhere and we are still very much in the game of Life. Sometimes (maybe less often) we take the “short” (right) way to our solution and we are very very grateful. But then we think we just got lucky. But it isn’t luck … it’s the performance we get when we calmly approach our own lives with ourselves in mind. So many things go into our decisions in life that we are unaware of. We all develop personal Belief Systems that we gather from our lives. These belief systems are started as soon as we can talk and walk. The often no longer serve their purpose and should be discarded from our “decision process”. Personal reward, Ego, Family needs etc. These are all natural events and part of what we are here to figure out and find the Balance. There is no mountain to climb; only a center to hold. Face your life as the Human Truth … accept your part in it all and it will shrink before your truthful admission. There is so much power in the truth. The authentic truth will make everything clear and offer the most credible path. Here is somethings I have found … as I was an Overacheiver… that now serve me well. 3. Learn what is your business and what is not. If it doesn’t affect my breathing it is not My Business. i.e .. What other people think of me … Is not my Business. 4. And finally …. DO NO HARM. (Never purposely hurt or destroy from anger or revenge)… walk away… expanded and whole. The Ital Place of Reasoning is a most wonderful place. It’s a learning center for Illiterate Adults in Negril, Jamaica. A place to come to Understand more than study, to “Reason together” for explanations to why things happen and why life struggles in its process. Not being able to read or write makes for a very small world. Relegated to small areas of travel, the same people, same dialogue, same complaints and the same outcomes. The sage saying “if nothing changes … nothing changes” is true. It was Einstein that said, “Expecting a different result from continuing to do the same thing” is insanity. That’s what we offer at the Ital Place of Reasoning… different thinking… different dialogue … personal responsibility. Jamaica suffers from a high crime rate of murders and personal injury. This is easily understood when one considers the social input that an orderly education provides young people. If you are in school with a set of children from kindergarten to graduation, you virtually live with that student community for many years. As children, you argue, disagree, stop talking and become friends again. You share precious moments of sadness and joy, passing and failing, triumph and loss with each other; learning empathy and connection to the Human elements we all share. Graduation into the work force makes us colleagues to share commerce and life with each other for the rest of our lives. This is a powerful source of confidence and problem solving. However, if that experience is non existent in one’s life, it doesn’t take long to start to feel the difference and the inadequacies in contrast. It cost money to go to grade school in Jamaica and if Mothers have to choose between school and food for all the children and themselves the decision not to go to school becomes easy. Generations of this can easily become the norm and a consciousness forms. This is where the “underbelly” forms. Desperate people do desperate things. Frightened people do frightening things. Its easy to see how desperate and frightened one can become in a fast moving world of literacy and digital advances and you standing on the outside of it all. Confusion about the Government and law enforcement provides the thoughts of a grand scheme against them. No jobs, no food and too many children cause stress between Men and Women often leaving the Women with the burden onto themselves and grandparents. This is common. The most important lesson that is missed by not attending school is … because of the lack of interaction throughout their life in the “ups and downs” they miss the natural skills of “Conflict Resolution”. When a desperate life is managed by a frightened mind that sees few options, as they say in Jamaica …. “Tings happen”. It is easy to find someone or something to blame for the trouble that sits before them. Their natural unschooled notion if they eliminate the perceived problem, the problem will cease to exist is a common solution. At the Ital Place of Reasoning we talk about these events. We consider real life, real time events of mischief and mayhem because they always exist. We Reason Together the alternative actions that could be taken instead of the ones that will certainly ruin everyone’s life who is involved. And, because they are one of the lives in question … they listen. We talk about Positive and Negative Energy and its importance in all our lives. We talk about relationships, personal responsibility, jobs, money, children, the government and police. We provide a one stop shop as an Advocate for those who are taken advantage of in commerce or law, because they cannot read what they have been presented. We teach a tourist etiquette that will serve them well in tourist season in their shops and efforts to benefit from the influx during the winter months. There are no books or computers … there is no point. My class members are adults such as 45 yr old taxi men, 50 yr old small shop keepers, 20 yr old young men and women who are looking for something… anything to improve; and of course the homeless who are manifold. Our services are free to the people and we provide a free meal to all who attend our Sessions. The Ital Place of Reasoning is a good corporate citizen, an active member of the Negril Chamber of Commerce and approved by the Negril Constabulary. Please check us out at www.italplaceofreasoning.com for our story and updates. You can donate to help us if this feels like something you believe is a worthy cause. Now that I am comfortably over 60 … its time to live. Living for me is now sharing what I have come here to know with all who will listen. Who will listen? Only those who hear/feel the nuance of truth and resonance in their own lives. That’s the perfect number. My Teachings are all based on the real Law of Attraction, the most powerful consciousness available to the Human Being on this earth. While I am happy for the acclaim and word recognition the Law has received in the past, the actual truth of the Law of Attraction has been watered down in the name of commerce. 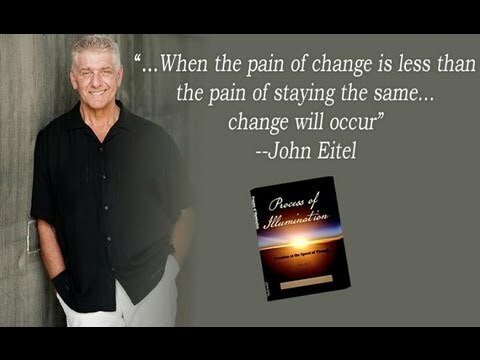 Understanding the Law of Attraction and its Energetic reality will change any life at the speed of thought, and most important; will explain every event, cause and outcome in our lives up until now. To me that was a place of great solace and life giving Power. After a life time of doing it all wrong, making all the mistakes, hitting every wall, to find out now that it was all Me that was the cause … was very reassuring. Finding out that in a real way, in real time I had the power to cause my life to be the way it was was very good news. Why?…because it told me that there was no one or no thing out there to taunt, hurt or kill me. No external authority or foreign consciousness was in a strategic plot on my life. There was just me, the Author of my life. The constant looking over my shoulder for an unseen enemy, the constant vigilance to protect myself and my family caused my energetic attention to always be prepared for the worst… and so the worst came. While this may feel frightening, in my more enlightened mind, I see how many times this was the Universal tap on the shoulder that we all get. The tap is an effort and guidance for us to look inward, where truth is found, and to just step back from all of the outward imaginary plots and threats that we have created. For we are the Creators of our very own lives on Earth. As the Carbon veil is lifted and the Crystalline put in place, Teachers such me will begin to show up all over the world. We are the Wayshowers to a new age. We cannot change anything except our own lives. But we can Show You the Way to yourself … and once there… ye shall be as gods.